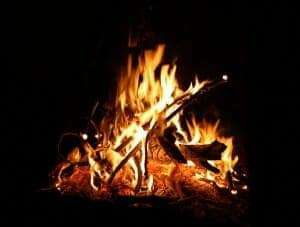 Fire is essential in the Bushcraft and Survival world, it keeps you warm, allows you to cook, provides you with a source of light and as the quote above alludes, keeps your morale up! Lighting a fire is one of my favourite parts of the day when out on my Bushcraft trips. Sitting down next to a warming bushcraft fire with a hot drink and relaxing after a day out in the forest can not be beaten. But it has not always been this way for me. It took me a while to realise that to get a good fire going it takes preparation, not a massive amount, but it must be good preparation. If you try to cheat, and I have in the past, it won’t work. So first up we need a tinder. Tinder is material that lights easily and gives off a small flame that is then used to light smaller bits of wood. There are loads of tinder’s out there some natural and some man-made. 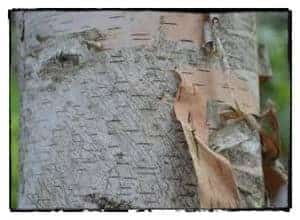 Some of the better known natural tinder’s are birch bark, dry dead grass, Clematis down or you can make yourself a feather stick and if done correctly that will take a spark. Likewise there is nothing stopping you from taking out man-made tinder’s like cotton wool balls, tumble dryer lint and even a shredded up egg box works well. I regularly take out tinder with me as its all part of the preparation. Ask yourself do you really want to be hunting for natural tinder when you are cold and hungry or do you want to pull out some you had prepared in advance? I know what I would rather have! So now we have the tinder sorted, it’s time to get kindling. Kindling is small twigs and branches that will catch quickly and easily from the flame your tinder gives off. 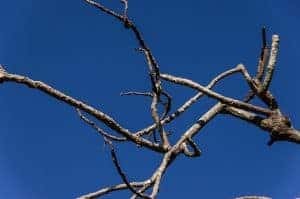 The best place to find this sort of wood is from dead standing trees or dead branches that have fallen off the tree and become hung up. 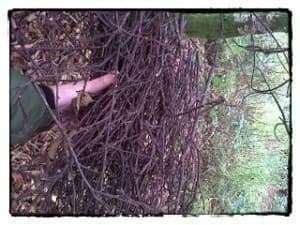 I have found that pencil thickness twigs are ideal, but is important that they are dry, a good test of this is if the branch snaps and makes a cracking sound then you are good to go. When you have collected a good amount of these, you can then collect some thumb thickness sticks to put on the fire when your smaller ones have caught a light. 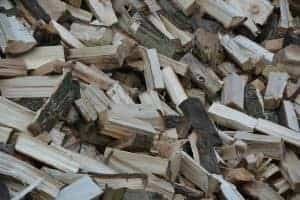 If you are unable to find any suitable kindling you can make some of your own by splitting larger bits of wood until you have the thickness you require, you can then feather these to make sure that they catch. Now we need larger fire wood. Just like the thicker kindling you collected its now time to get some larger firewood. I collect several different sizes of this type of wood so I have different thickness of fuel to build up the fire. 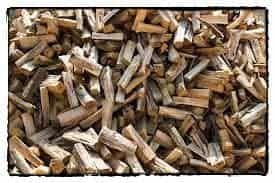 You will need to build up the fire using the smaller bits of wood first and work up to the larger wood you have collected. 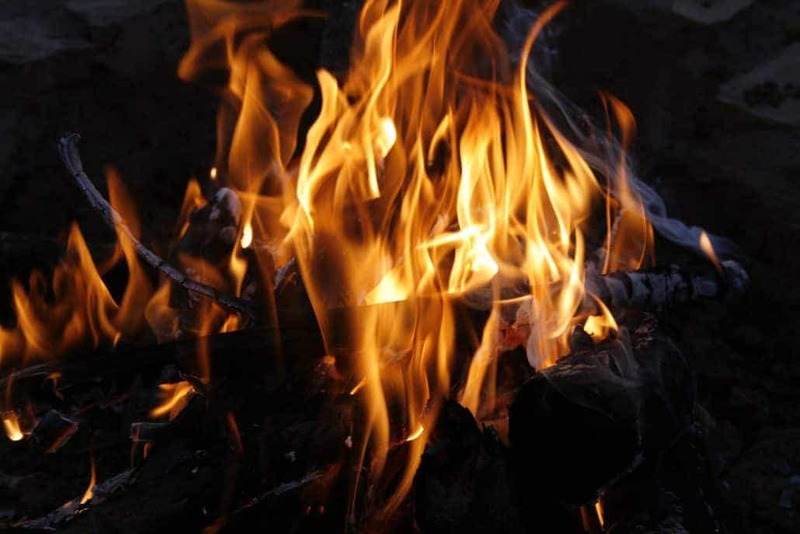 Split wood will burn quicker the wood that has not been split so it is worth splitting some wood to make it easier to catch and when you have a good strong fire going you can add whole logs. So how do we get a good fire going? First, prepare the ground where you are going to have the fire. Clear all the leaf litter, dried grasses and small twigs well away from where you plan to have the fire, I do this because it’s good practice and greatly reduces the risk of things catching alight that you don’t want catching! If the ground is wet then it’s a good idea to place a wooden base on the ground so it keeps the fire off the wet ground. Once you have your base, place your tinder on it. I like to add a few small bits of kindling in a Tepee shape so when the tinder does light it is not a mad rush trying to get it onto the fire before the tinder goes out. Make sure all of your firewood is ready to go and organised and when you are happy, light your tinder! When your tinder is lit start by adding your Kindling, slowly, allow it to catch alight and add more and more fuel as the fire gets stronger. 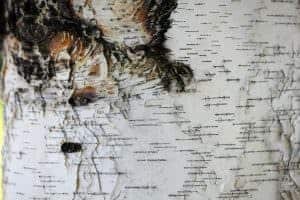 Now you have a good strong flame going now is the time to add your larger fuel, do this until you have the size of fire you require and then sit back and enjoy!! 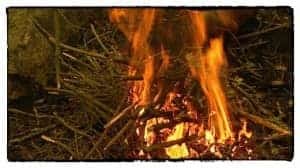 The trick to lighting and maintaining a bushcraft fire is attention and patience, do not rush and do not try to cut corners, if you look after your bushcraft fire and fuel it correctly when it is small it will look after you when it is large.